Showing items 1 - 5 of 21 for South Slave. 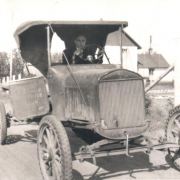 A Model T truck, one of the first vehicles to enter the Northwest Territories in the 1920s. It was owned initially by Dr. Clermont Bourget, the Indian Agent and medical doctor stationed at Fort Resolution from 1923 to 1933. 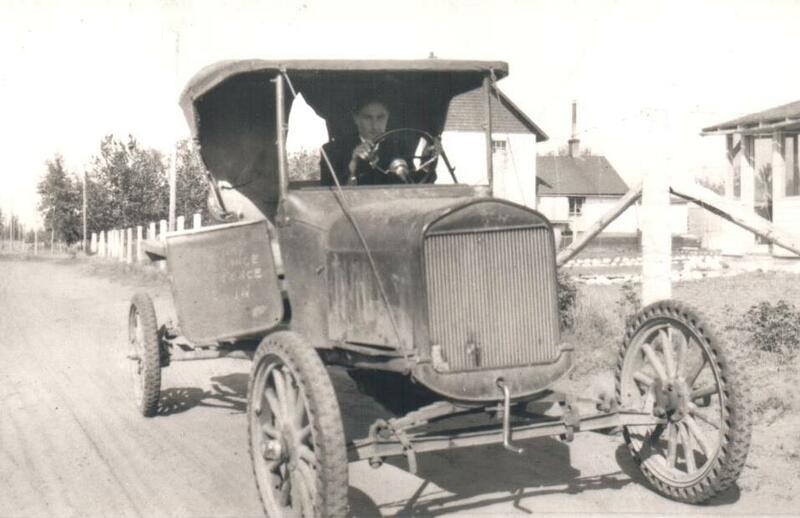 The truck was then used by trader George Pinsky who operated a general store in Fort Resolution for many years. When Pinsky donated the truck to the museum in 1963 it was still in working condition. 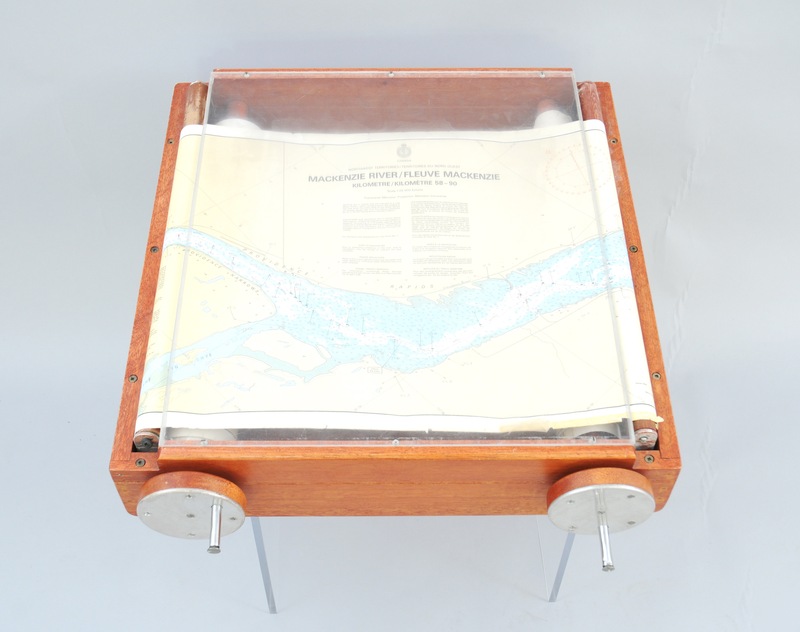 A chart rolling device, containing a scrollable navigation map of the Mackenzie River, used on the Canadian Coast Guard Ship Tembah. The Tembah was in operation from 1972 to 2010. 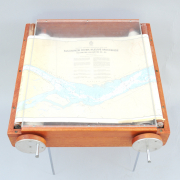 During the summer of 1989, the ship patrolled the Mackenzie River from Mile 778 to the River Delta. 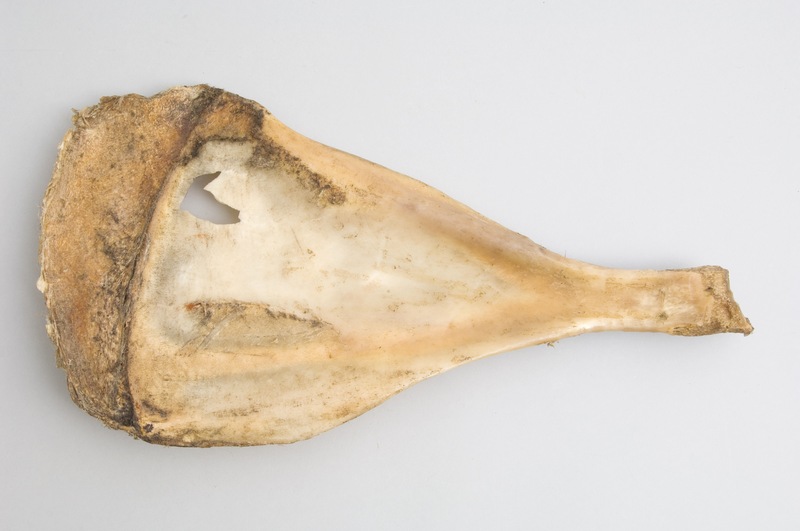 A moose call made from a juvenile bull moose scapula (shoulder bone). A hunter uses it by scraping it up along a tree during the rut season to create an attractive sound. The object has been carved to easily fit a hunter’s hand. 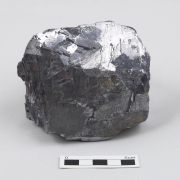 A fist-sized sample of massive galena with excellent cubic cleavage. 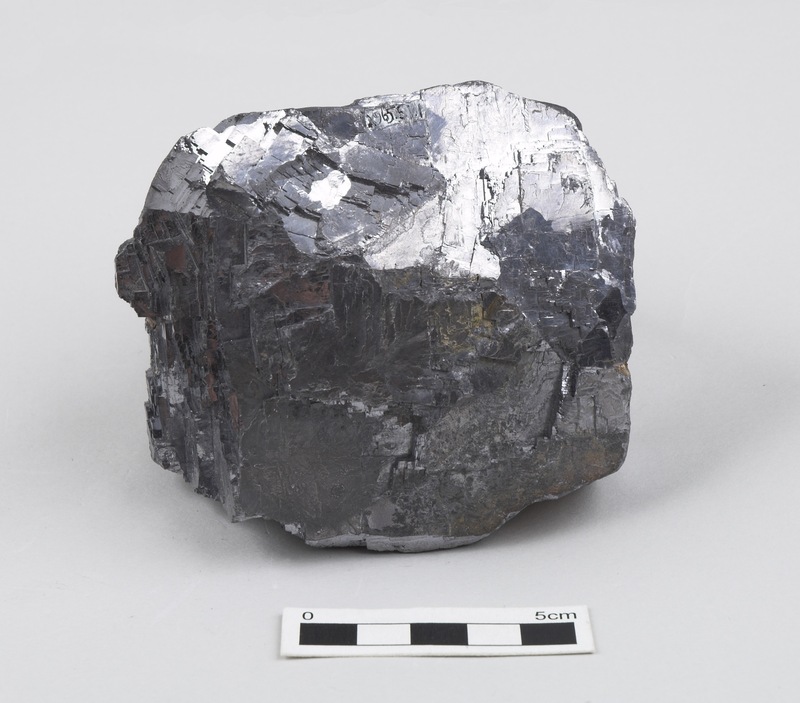 Galena is the ore from which lead is extracted. The Pine Point mine was in operation from 1965 to 1987. 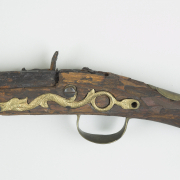 A muzzle-loading flintlock musket with a long barrel. 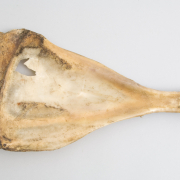 This gun was found submerged in water off the shore of Meridian Lake by prospectors in 1971, found loaded with powder and ball along with a hatchet and chisel blade. The story of how this musket ended up on the lake bottom is unknown, nor is it’s age clear, however barrels of trade guns were shortened after the 1820s. 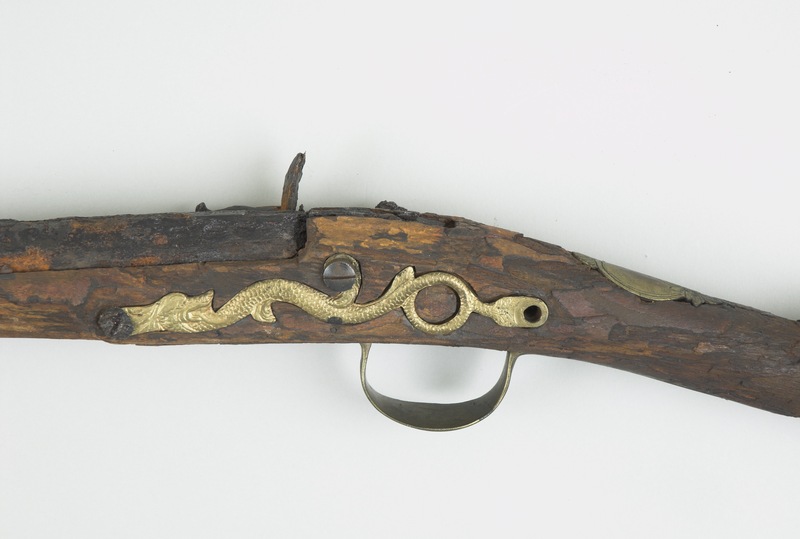 The sea serpent sideplate like the one on this gun became a popular feature as the trade developed.